My friend Jess and I were having a ladies dinner last night and I invited her over to my apartment to have a glass of wine before we went out. I would normally run downstairs to our little market and grab some chips and salsa or humus and pita, but Jess is kinda a foodie so I wanted to offer something a little more sophisticated! I recently took an “All About Root Vegetables” cooking class from the very talented chef, Peter Berley at the Institute of Culinary Education. 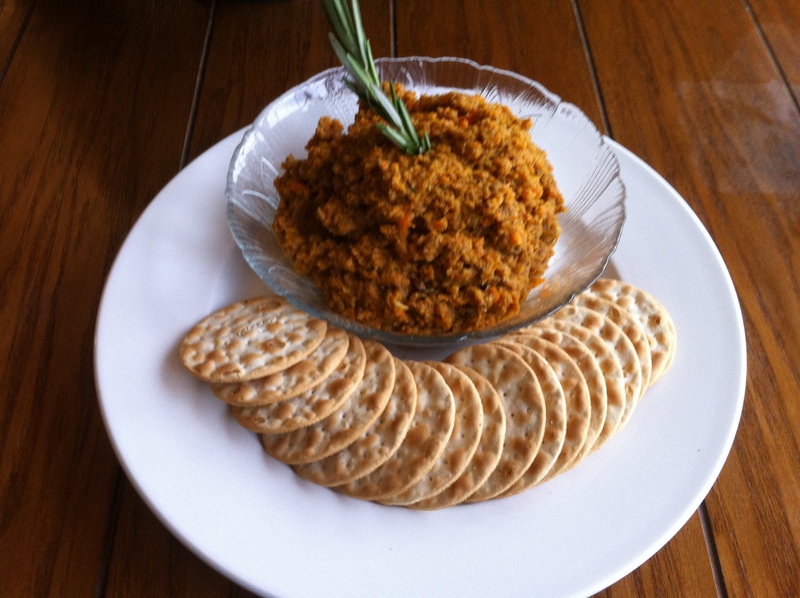 One of my favorite recipes from the day is a Roasted Vegetable Pâté. Its super easy to make and it’s really delicious. I know you are swooning over my new cool cutting board. Yes, that it is a colander attached, yes it is sitting over my sink creating more counter space, and yes its my new favorite kitchen item. It’s genius and it’s from Crate and Barrel. I could talk about this cutting board for hours, but back to the recipe! 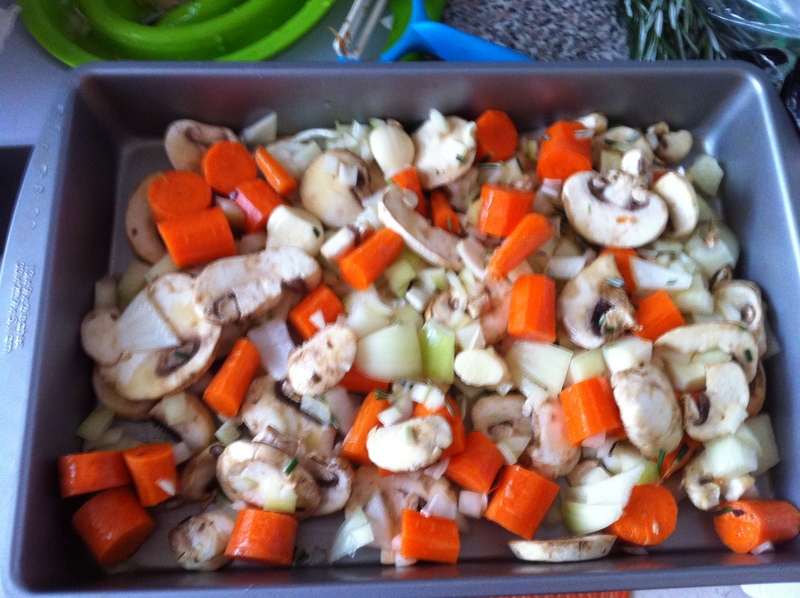 In a bowl, toss together the onion, carrots, mushrooms, garlic, olive oil, herbs and salt. Spread the mixture on a baking sheet and roast for 25 to 35 minutes, stirring every 7 minutes or for even browning. When the vegetables are tender, transfer them to the bowl of a food processor. Add the miso, lemon juice and black pepper to taste and puree. Add 1 tablespoon of water if the pâté is too thick. Allow the pâté to rest for 5 minutes to marry the flavors before serving. This dish is nice warm and cold. We had leftovers from last night and I put some on an english muffin this morning! 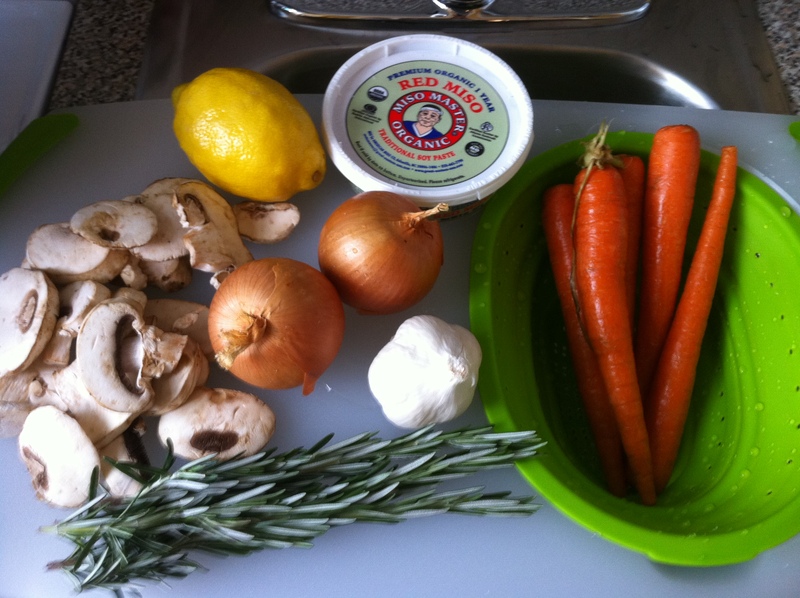 This entry was posted in Recipes and tagged food, recipe, vegan, vegetarian. Bookmark the permalink. Wine pairing suggestion. Look great. That looks delicious! I’m not incredibly motivated in the kitchen, but that looks like something even I would enjoy making. I can’t wait to try it out! Thanks for another great recipe! We drank a Muscato by Mionetto. It’s a sweeter italian sparkling wine. I found it be really good with the pâté and because we were going to dinner and probably drink red wine I thought the sparkling wine would be a good place to start the evening. I also think that a really earthy pinot would be great with it and bring out the richness of the mushrooms and the carrots. Hi Bri! Looks soooo good, will have to try! Hope all is well!